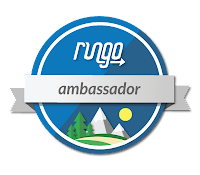 Fit Technology: I'm a RunGo Ambassador! Yay! 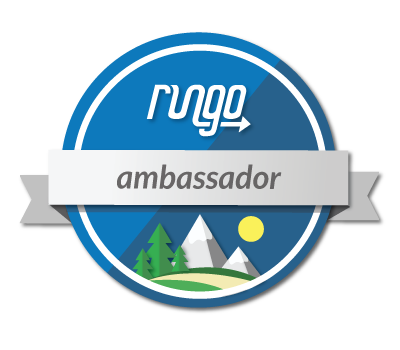 I'm a RunGo Ambassador! But... what does that even mean, you ask? 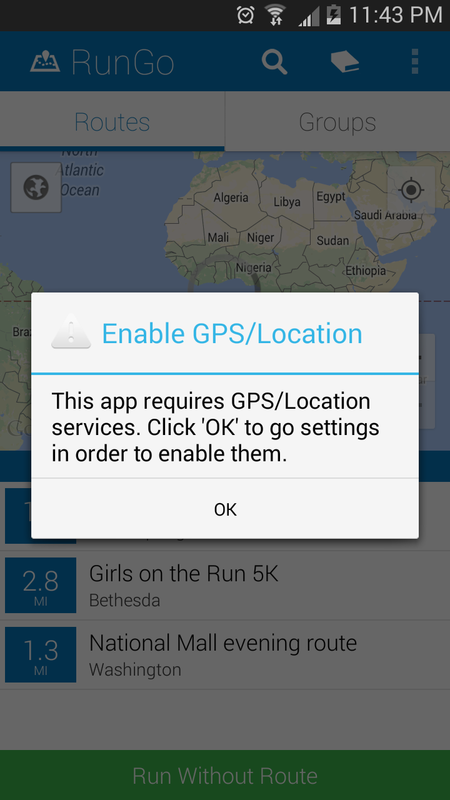 Well, that means I get to spread the word and tell all of you wonderful readers about this cool app called RunGo. Okay, so let's go through how it all works. 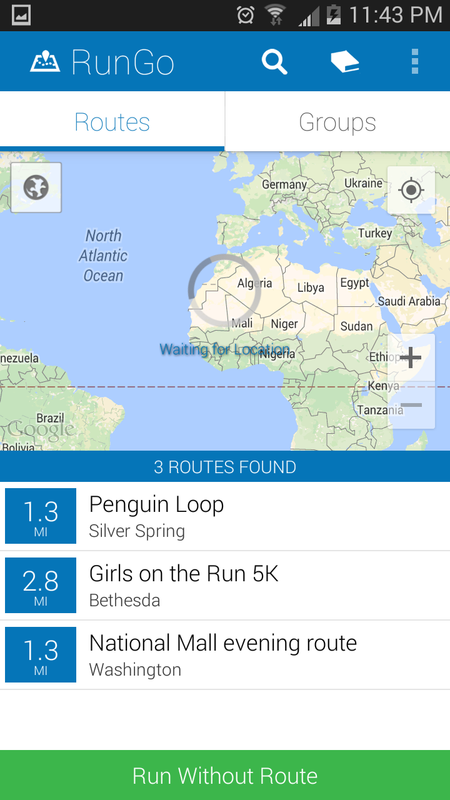 First, you'll need to make sure you turn on your GPS, so that RunGo can actually track your route. 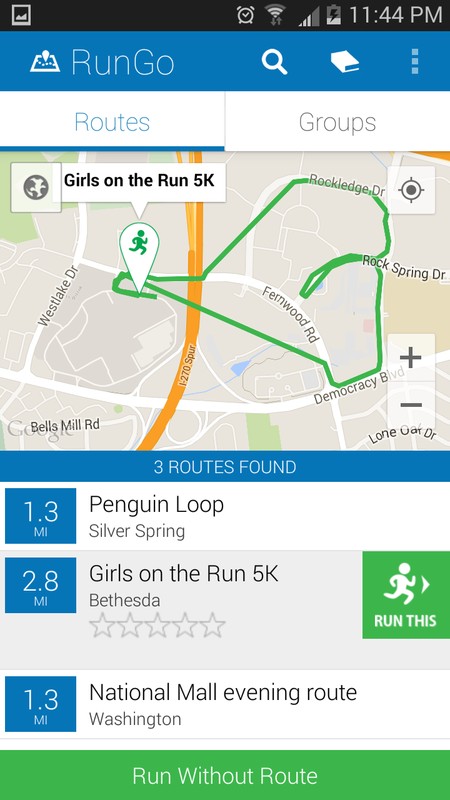 If you select an existing route, it will allow you to decide whether you want to "RUN THIS!" route, or select another. I really like this option because it allows you to explore without committing to one route in particular. 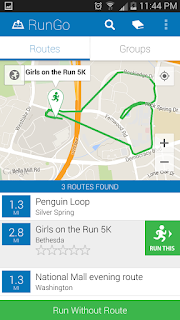 As you can see here, I selected my Girls on the Run 5k route, which, coincidentally, is shaped like a heart. 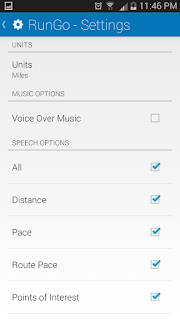 There are a bunch of settings you can alter to fit your running needs. 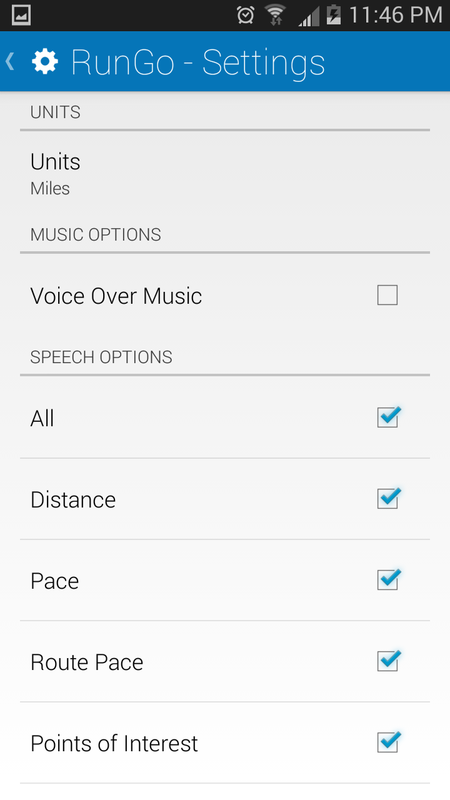 And that about sums it up~ It's super easy to use, and I love that the folks over at RunGo listen to the suggestions of ambassadors. 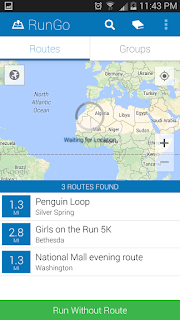 I can't wait to try out different routes in other cities, and even some routes my neighbors have created! If you decide to give RunGo a chance, please let me know your thoughts and suggestions. Totally! I love that I don't have to mess around with it while I'm running.